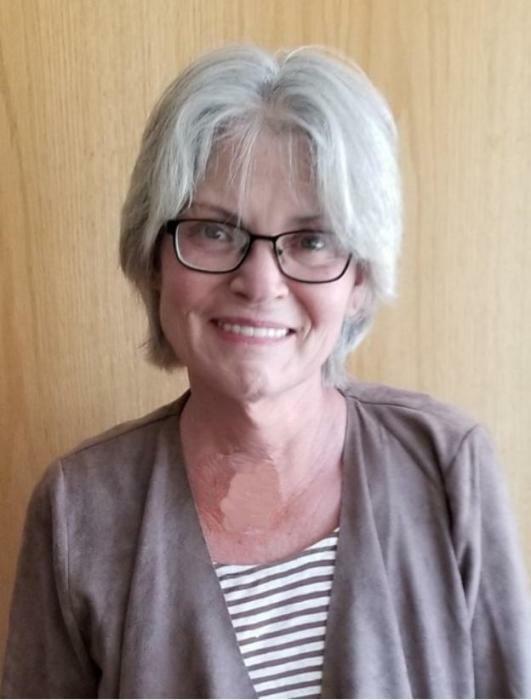 Annette C. Krukemeyer of Gothenburg passed onto eternal life on her 59th birthday, surrounded by her family and loved ones in the comfort of her home. Annette was born November 28, 1959 to John O. and Rosemary (Meysenburg) Reiter in Holdrege, NE where she resided with her large family until graduating from Holdrege Senior High in 1978. After graduating, Ann attended Kearney State for a year, later deciding to join the United States Navy in June of 1979. Annette meet and fell in love with Richard while stationed in Great Lakes Naval Base in Illinois. They were married January 30, 1981. In July of 1981, Annette and Richard were transferred to Subic Bay Philippines where she served as a corpsman until her honorable discharge in 1984. Richard was transferred to New Jersey and then back to Great Lakes Naval Base in 1986, where him and Ann resided until his retirement from the Navy in 1996. The next chapter brought them out to Gothenburg, NE in September of 1996 when Richard took a job at Frito Lay and then later at the Union Pacific Railroad. Annette was a stay at home mother for most of her adult life. When her children were older, she worked at Pizza Hut for a few years. She then went to work at Ribbon and Roses in 2004 and continued to help out, as needed, up until her recent cancer diagnosis. Ann was a woman of many talents and had a heart for history. She poured many hours into the old Victorian home she lived in, doing what she could to bring it back to its former glory. She also enjoyed gardening, reading (lots of reading! ), sewing, crossword puzzles, putting together puzzles, and spending time with her 5 grandkids. It wasn’t hard to tell that Halloween was by far Annette’s favorite holiday but she sure did love to light firecrackers on the fourth of July too! She will be deeply missed by her family, friends, and neighbors. Annette is survived by her loving husband Richard, mother, Rosemary (Meysenburg) Reiter of Holdrege. Brothers: Mike Reiter of New Mexico, Bernie (Robin) Reiter of Baltimore, MD, Steve (Julie) Reiter of Bellwood, NE. Sisters: Mary (David) Lempke of Wallace, NE, Leah (Jeff) Proctor of Eden Prairie, MN, and Jane (Scott) Barber of Worthington, MN. Her children: Denise Buck of Summerville, NC, Nicole (Ben) Schoenholz of Bruning, NE, Alisha (Brian) Weaver of Kearney, NE, and Jeff Krukemeyer of Gothenburg, NE. Grandkids: Lane Krukemeyer and Collin, Mylah, Kaelyn, and Korah Schoenholz. Step Grandkids: Morgan and Madisen Weaver. Many, many nieces, nephews, and cousins. She is preceded in death by her father, John O. Reiter, her in-laws, Richard and Pat (McNabe) Krukemeyer, her sister, Susan Reiter, infant niece Carlin Proctor, and infant nephew Ezra Lempke. Visitation will be held at Blase-Strauser Memorial Chapel, Gothenburg, Nebraska; Monday, December 3, 2018, 4:00 pm - 7:00 pm. Funeral Services will be held at First United Methodist Church, Tuesday, December 4, 2018 at 10:00 am with Pastor Jamie Norwich McLennan officiating.